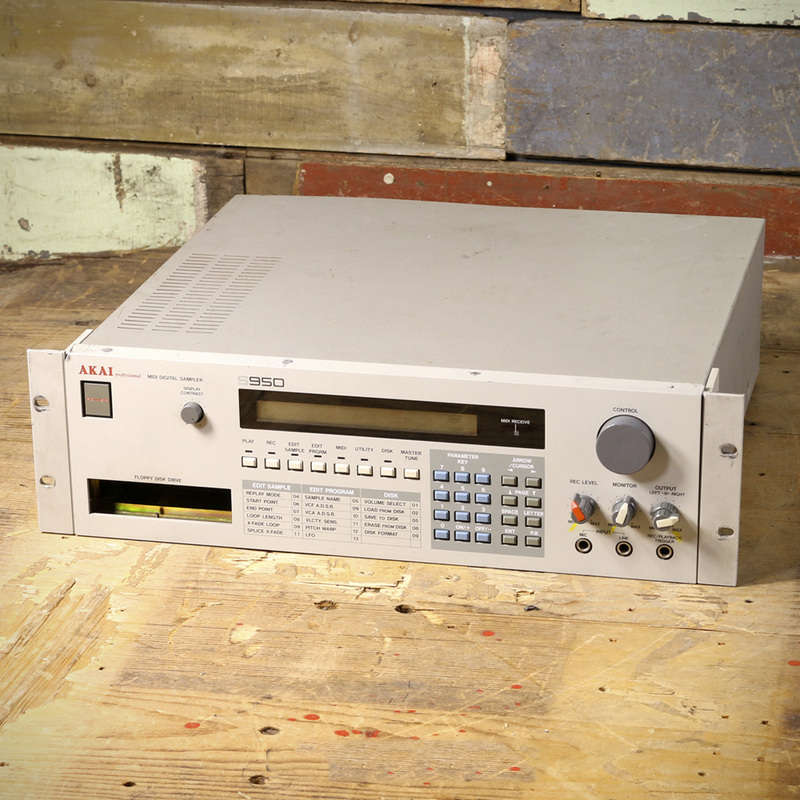 The very earliest Akai S series sampler, the S612, isn't particularly prized as a vintage unit. 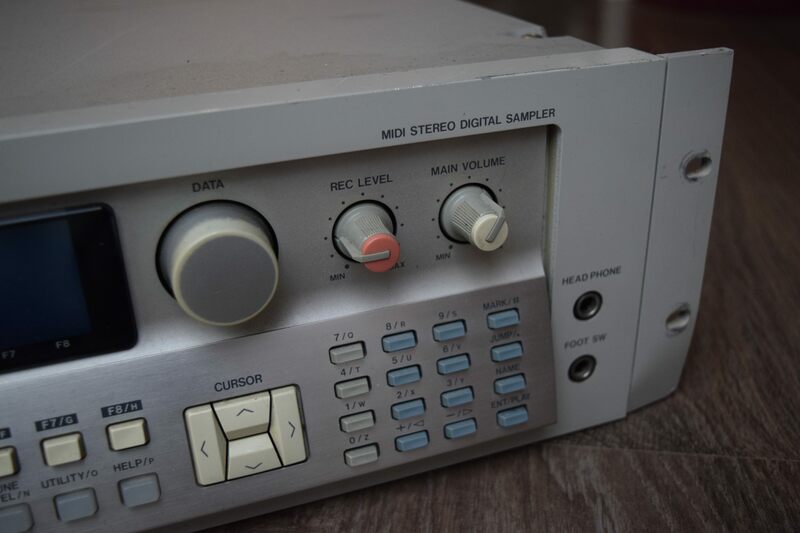 Despite some fans that still love the S612 to this day, many of those samplers have been plundered for parts or left to electronics recycling bins over the years. But while it was a very simple machine compared to those that followed, its basic functions set the stage for the line of rackmount samplers that would help bring sample-based music-making into the modern age. Once you sampled a sound, you could play it across the notes of your MIDI controller and then use the Akai’s on-board controls to edit where the sample starts and stops, reverse it, adjust filter parameters, and choose whether the sound plays in a loop or just one time with each press of a key. The combination of low bit depth and low sampling rates would introduce new timbres to your sampled sounds. A rich synth could turn reedy and gauzy, a bass could become thicker, and a kick could gain added crunch. Akai S612 with the MD280 quick disk drive. 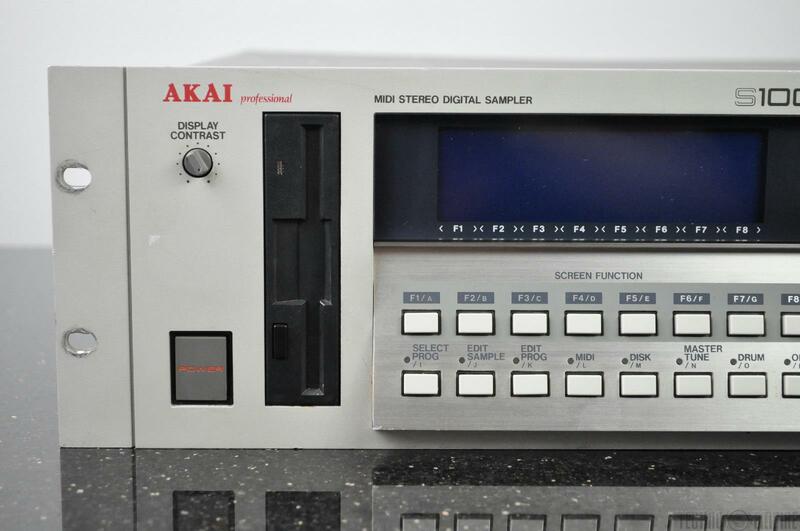 Akai’s digital MIDI samplers helped bring the art of sampling to a much wider range of musicians than expensive units like the Synclavier and Fairlight CMI. When used in conjunction with Akai’s MPC drum machines/sequencers or an E-Mu Sp-1200, the S series greatly extended the range of producers. And the use of S series samplers along with early Commodore 64 and Atari ST computer sequencers helped pave the way for the future of computer music. The S series samplers were famously fundamental to electronica, jungle, drum and bass, and other forms of dance music. But artists as diverse as My Bloody Valentine, The Bomb Squad, and Jean-Michel Jarre are all known to have employed S series units on their records. From '85 to the present day, sampling has of course only grown in prominence, and the process is far easier than in previous eras, thanks to developments in music software and any number of newer, more portable hardware units like the Elektron Octatrack and Digitakt, MPC Live, and Korg Electribe 2 Sampler. But plenty of producers still want the original sounds and feel of the Akai S Series. Because of the diversity of today's sampler options, you can find these vintage S series machines for relatively cheap (and certainly far cheaper than they were new). Below, we're looking at some of the major models. 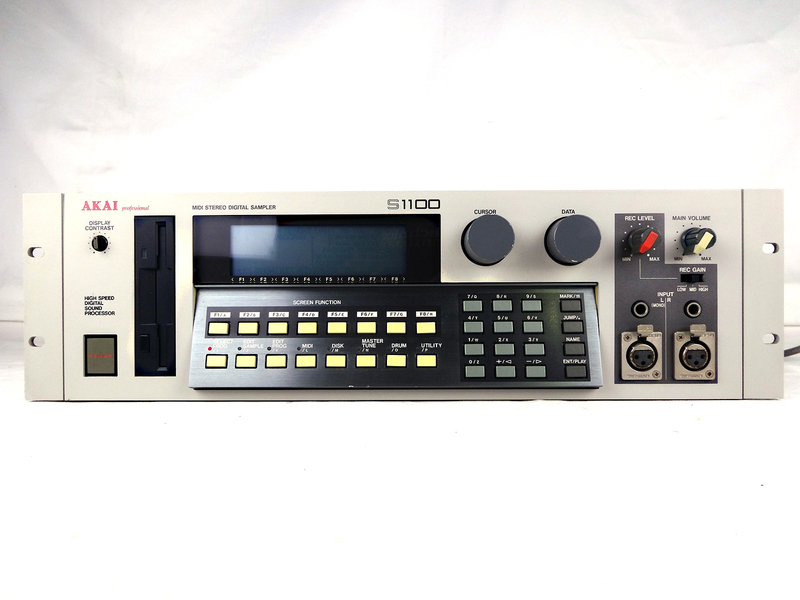 Much more so than the S612, the S900 helped to bring professional-level sampling quality to the masses, with 15,000 of these 12-bit sampling units being manufactured between '86 and '88. They have a built-in floppy disk drive and feature eight-voice polyphony, with each of these voices having its own separate output, letting users record and process individual hits with ease. But it was the S950 and its time-stretching capabilities—along with a higher possible sampling rate (up to 48kHz from the S900's 40kHz) and increased memory—that expanded the possibilities of hardware samplers. As Norman Cook, aka Fatboy Slim, said in a 2017 Sound On Sound article, "The S900 was fairly rudimentary. The S950 you could and still can do pretty much anything you want." If you want the sonic character of the S950 without the hassle of the hardware unit, you can even software emulations like the RX950. The S700 is aberrant in a few ways. Introduced at the same time as the S900, it was actually a module version of Akai’s keyboard-based X7000 sampler. 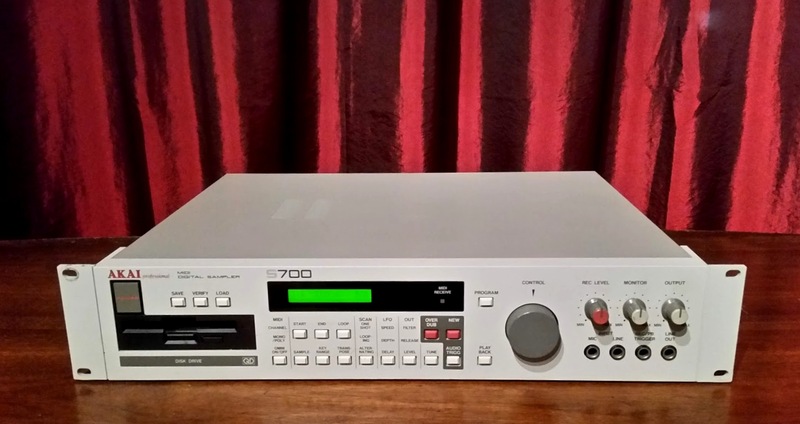 Both the X7000 and S700 were modeled after the S612, and as such, is a 12-bit sampler with the same filter and effects, though they included some advancements in editing functions. Although the quick disk drive was included in the S700 (as opposed to having to buy the S612’s companion drive, the MD280), most of these drives no longer work in existing units. Importantly, it swapped the S612’s bevy of faders and knobs for a menu-based workflow. The S1000 was actually released at the same time as the S950, but included many more features. Whereas the S950 still had 12-bit processing (despite its advanced editing tools), the S1000 was a premium, 16-bit sampler that was still relatively affordable upon its release—and had all of the S950's editing tools and more. Importantly, it could record your samples in stereo, whereas all previous S series samplers were limited to mono. In 2011, while auctioning off some of his equipment, Depeche Mode's Alan Wilder said: "In particular, many of the famous 'Violator' and 'SOFAD' drums were sampled using the Akai [S1000], which was particularly good at stacking and triggering sounds tightly (much better than the Emulators, which took a back seat around this time). We would often trigger four or five snares at once for example, with different envelope shapes and filtering on each to make a composite big sound. ... I remember, during those recording sessions, us having several Akai machines all running simultaneously, with many sounds and loops emanating from each before we committed anything to tape so that we could continually update the sound picture as we built the songs." 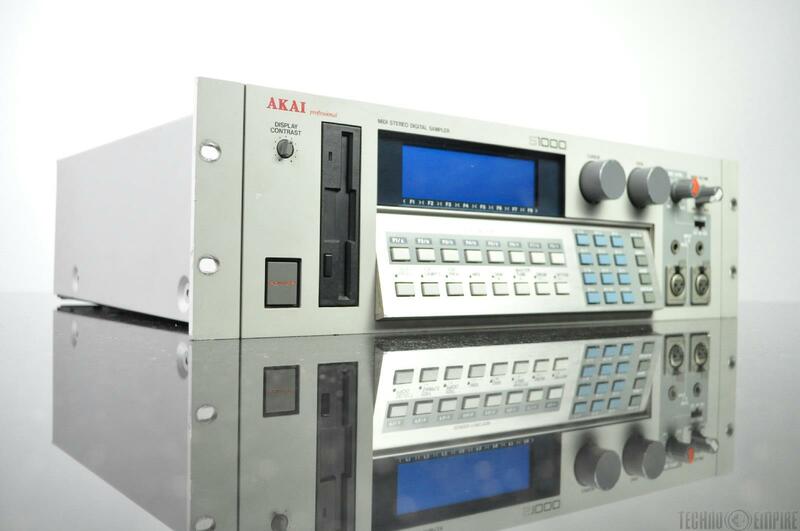 With the S900 and S1000, Akai successfully took the mantle as the industry leader in sampling tech. 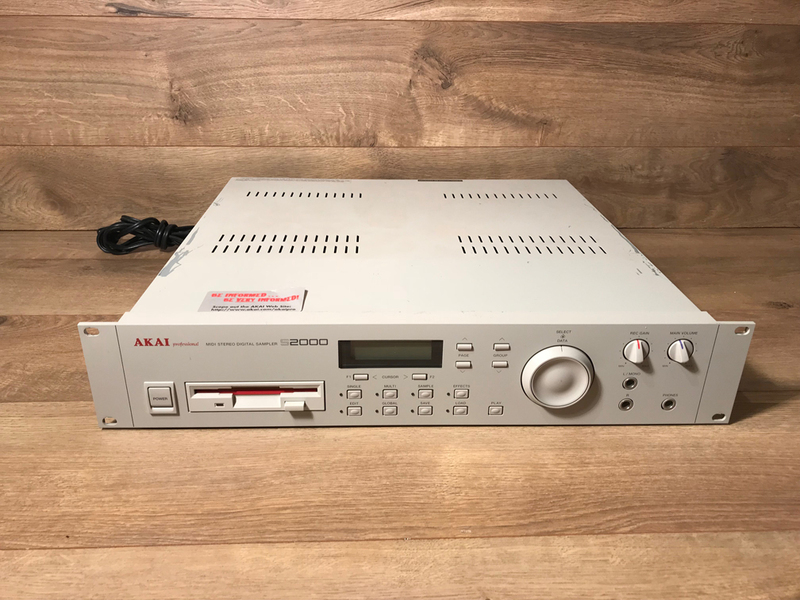 The S1000 was being used in professional studios across the world, so in 1990, Akai released the S1100, which included many updates aimed at professional engineers and producers. The new machine included a SMPTE reader and generator to sync up with visual editing, improved D/A converters to get a better signal-to-noise ratio, and enough memory to hold more than 12 minutes of audio (in mono, at the lowest sampling rate)—quite the feat at the time. The professional features came with a premium price upon its release though. 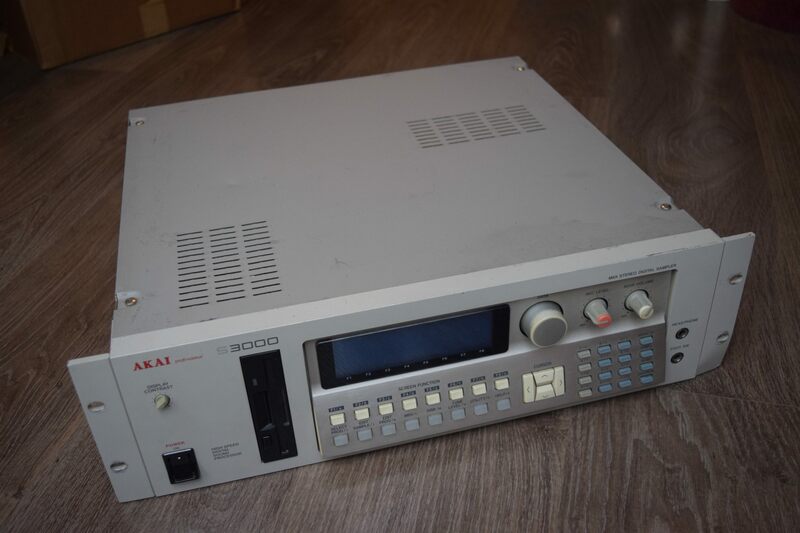 In 1992, Akai released its new flagship model, the S3000, along with the S2800 (a cheaper, slightly downgraded model of the S3000). Counting it as its third generation of samplers, the S3000 took the earlier 16-voice polyphony of the line and doubled it to 32 voices. The SMPTE reader and hard-disk recording option from the S1100 were included as optional features on the S3000, though were not available for the S2800. They were prized for their onboard filters, envelopes, and digital effects. With many different storage options competing in the technological boom at the time, these units offered a mix of floppy disk, hard disk, removable cartridges, magneto-optical disks, and CD-ROM options. 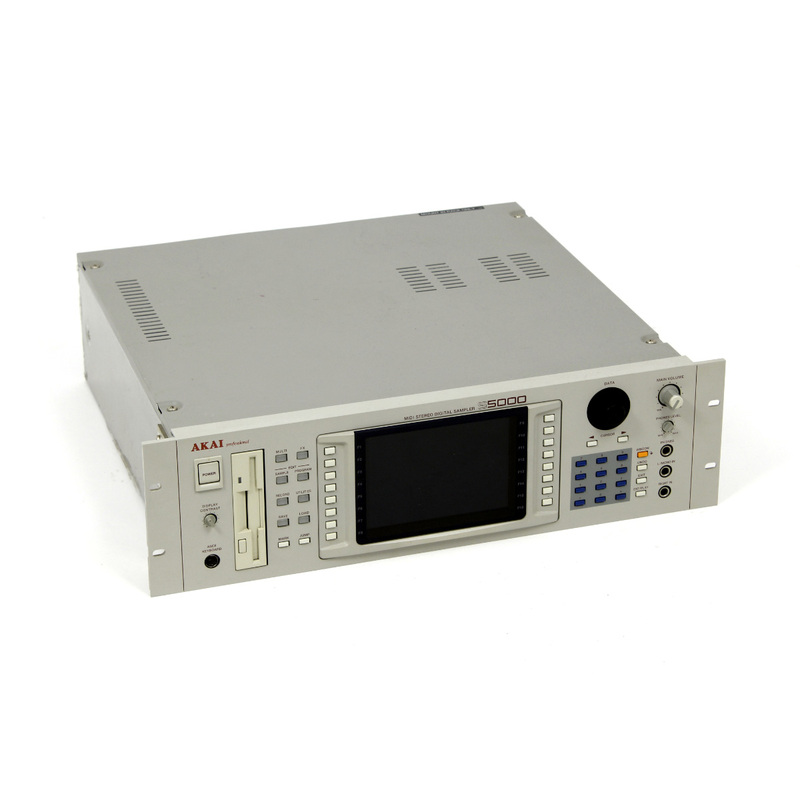 The S3000XL, released in 1996, made previously optional features like the hard-disk and SMPTE reader standard, while the S3200 made the previously option digital filter expansion board and MO disk drive standard. The S3200XL came with a software program to integrate with a Mac-based sequencer. The S2000 continues to be a favorite for producers working with S series samplers today—so it's harder to come by on the used market. As the naming conventions of the S line don't quite match up to chronological release dates, the S2000 was actually released years after the S3000 and S2800. With the S2000, you can choose to record at 16-bit or 8-bit resolutions, 22kHz to 44.1kHz sample rates, and in stereo or mono. With 32-voice polyphony and memory expandable up the 32MB, the S2000 was a powerful, entry-level alternative to the S3000 upon its release, and is still much sought-after today. The S5000 and S6000, released at the very end of the 1990s, represented the end of an era of hardware samplers. Radically redesigned from their predecessors, the units were powerful machines with interfaces more closely resembling a computer than a simple back-lit display. They could handle up to 256Mb of RAM and could hold more than 25 minutes of samples in stereo at the highest sampling rate. The S6000 came standard with 128-voice polyphony, while the lesser model, the S5000, came with 64-voice polyphony standard but was upgradable to 128 as well. While more powerful than ever, the S series were about to be eclipsed by the power of DAWs. As such, these later-year samplers are now no longer as prized as the earlier models like the S1000—which, though they make lack in features, are still loved for the special character they impart on their samples. Will Sacks contributed reporting to this article.